The FAQ may change until things are officially announced. Last revision 15/11/18. A: The game is out on Early Access Steam for Windows. After finishing it we are porting it to other platforms. We are aiming for PS4, Android, iOS, One, and Switch. First full version will be the Asian mobile version ( Out November – March 2018) and then we will go back and finish the Steam Early Access version and after that we will port to other platforms. Q: Why did you release the game on Steam Early Access and not finish that before going with the Chinese mobile version? A: When we released the Steam Early Access version we were in talks with a number of partners. None of them ended up with a deal and so we didn’t get enough money in to finish the game. Eventually we got in contact with Crazysports who wanted a mobile game and provided us with funding that we never had before. We will go back and update the Steam version as soon as we can in relation to the contract with Crazysports. This will hopefully happen somewhere between December and March. Q: Can I play online with my friends? A: Yes, but not until we are finished with the online features being implemented. It’s work in progress. Q: Will there be cross-platform multiplayer? A: Between PC, Android and IOS it already works in beta form. When the online structure is complete for all platforms we will start looking at cross play. Q: Will you do something to improve the goalkeepers / physics / camera / animations? A: Yes. Everything you see is work in progress. A: Most standard controllers on all platforms, and optional mouse and keyboard on the PC. The Steam Controller is also compatible. We also managed to come up with a nice touch based control scheme for mobile devices. Q: Do you have licensed team X in the game? A: No, we’re just doing something similar to what other unlicensed soccer games do. Q: Can you edit things within the game? A: When the main modes are finished we’ll make an Edit Mode. At first stage player names and club name editing and hopefully later: Football Kit & Badge Editor. Q: Can you get rid of the streak on the ball? A: €19.99 or an arm and a leg, but please state which hand is your preference so that you’ll still be able to play the game after purchasing. Q: Can I send you money to make this happen faster? Q: Will there be a career mode? 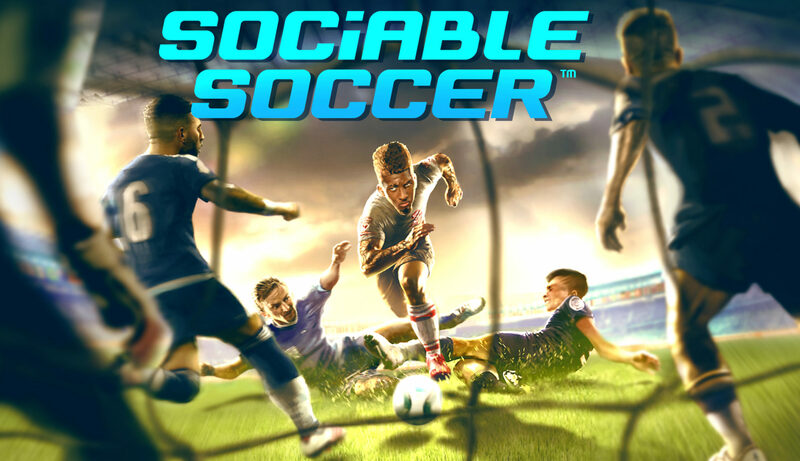 A: There won’t be a career mode in Sociable Soccer. We do not rule out any possibilities for the future of the series though. This is just the start. One step at a time. Q: I’m sad about the fact there’s no career mode, how do I carry on? A: We will be giving you a huge, addictive game with its core focus on gameplay that can be enjoyed in three different ways. Local multiplayer against your friends, hundreds of international competitions against the AI and endless online league matches representing the club and country you love in our Online Build Your Team mode. On top of that you’ll have Custom Teams and VR mode if you ever feel like you want to ‘Play like a God’.